A STAR IS BORN - V.O.S. Trama: A Star Is Born is a 2018 American musical romantic drama film produced and directed by Bradley Cooper, in his directorial debut, and written by Cooper, Eric Roth and Will Fetters. A remake of the 1937 film of the same name, it stars Cooper, Lady Gaga, Andrew Dice Clay, Dave Chappelle, and Sam Elliott, and follows a hard-drinking musician (Cooper) who discovers and falls in love with a young singer (Gaga). It marks the third American remake of the original 1937 film (which starred Janet Gaynor and Fredric March), after the 1954 musical (starring Judy Garland and James Mason) and the 1976 rock musical (with Barbra Streisand and Kris Kristofferson). Talks of a third A Star Is Born remake began in 2011 with Clint Eastwood attached to direct and Beyoncé set to star. The film languished in development hell for several years with various actors approached to co-star, including Christian Bale, Leonardo DiCaprio, Will Smith, and Tom Cruise. In March 2016, Cooper signed on to star and direct, and Lady Gaga joined the cast in August 2016. Principal photography began at the Coachella Valley Music and Arts Festival in April 2017. A Star Is Born premiered at the 75th Venice International Film Festival on August 31, 2018, and was theatrically released in the United States on October 5, 2018, by Warner Bros. 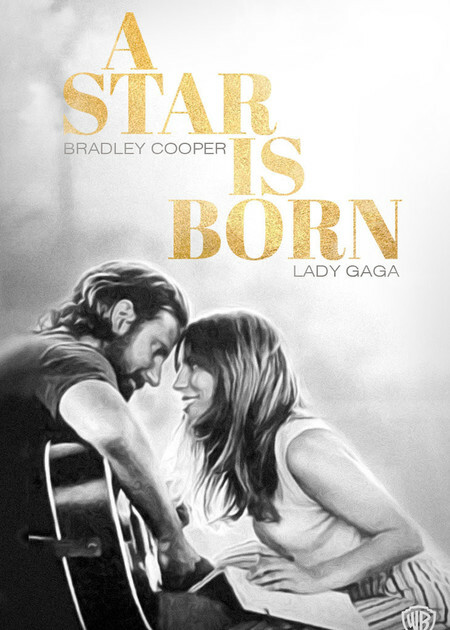 The film has grossed $58 million worldwide and received critical acclaim, with praise for Cooper and Gaga's performances, Cooper's direction, the cinematography, and the music.